For those of you who will be in the Maryland-area this Fall, a fantastic three-part speaker series is happening, and it’s a can’t-miss event. The independent-living center Accessible Resources Independence in Columbia, Maryland is putting on this speaking event. The dates and times, as well as the topic of each speaker, can be found below. Each session is $20 or $50 for all three. Scholarships are available. Please call or email Betsy at 443-713-3910 or bhein@arinow.org if you have any questions. This entry was posted in News & Updates and tagged disability speaker series, maryland spinal cord injury help on August 28, 2018 by Tiffiny. 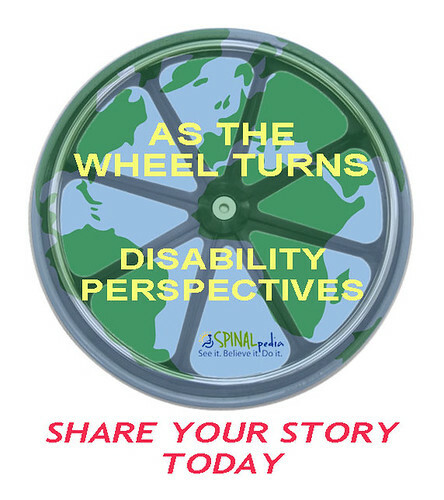 In less than four sentences, please share any awkward, funny, heartfelt, sad or serious interactions involving your spinal cord injury life and the able-bodied world. We are starting a New Advice Column, “As the Wheel Turns: Disability Perspectives,” that takes real-world moments and digests them into something that ALL ABILITIES can learn from. Share away! This entry was posted in News & Updates and tagged advice column, disability advice, spinal cord injury advice on August 28, 2018 by Tiffiny.